Having graduated from USIU-Africa in the year 2000 with a degree in International Relations, Kalekye first started at the Turkish Embassy as a trade Attaché assistant and soon followed her passion for the arts and worked as a team manager for Homeboyz deejays in 2001. 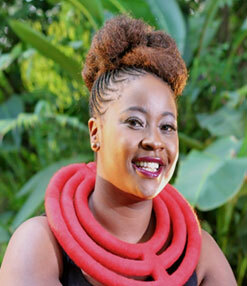 Knowing all along she wanted a radio job having sent demo tapes over and over, she sought a trainer and was trained and given a job at Rough Cuts Productions in Karen as a studio manager and sound engineer assistant 2002-2003. In 2005 Kalekye moved to be a sound engineer in her own right at Mediva Africa, where she worked on shows like Tazama and Agenda Kenya. Kalekye broke into the radio scene mid-2005 when she won a radio idols challenge at Capital FM as voted by listeners. Mid 2006, Kalekye finally got her own show with co-host Shaffie Weru and the Rush Hour on Kiss 100 was born. This monster show built up her on air character to now see her take over the Morning Kiss 6-10am on Kenya's New Kiss in October 2014 together with Shaffie Weru. As Alumni of USIU - Africa Kalekye recently got elected as the Associations Public Relations Chairperson a job well suited for her as an experienced media personality.